Rolf - @rolfsandvigganer #kromproteam #bolfmod - 2017 European Kendama Champion. Catch and Flow finalist '15, '16 and '17. Winner of 20+ international competitions throughout Europe. Tech specs: The 1% Ken, lunar Balance hole, LOL Clear sticky coat, hard maple wood, mini bearing Packaging also contains: Custom stickers, poster and extra string. 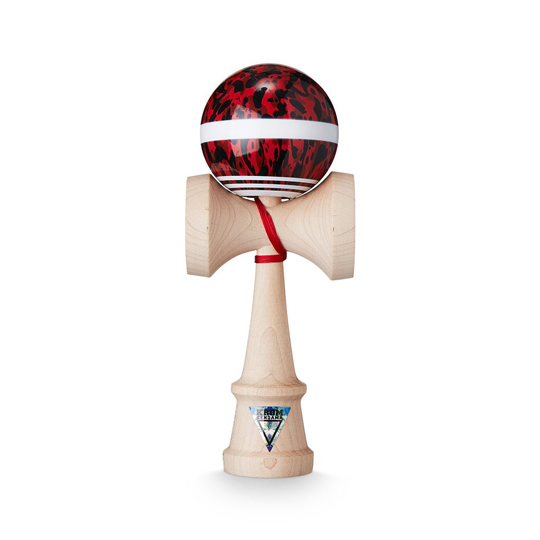 By purchasing this kendama you directly support the pro player of your choice.